The state&apos;s largest health system is planning to acquire Massachusetts Eye and Ear. After nearly two centuries of independence, Massachusetts Eye and Ear has agreed to be acquired by Partners HealthCare, its leaders acknowledging that thriving as a specialty hospital has become nearly impossible in a market dominated by larger rivals. Mass. Eye and Ear — the last independently run hospital of its kind in the country — already has close ties to Partners, and the proposed combination disclosed on Friday isn’t expected to lead to big changes for its 2,200 employees or its patients right away. 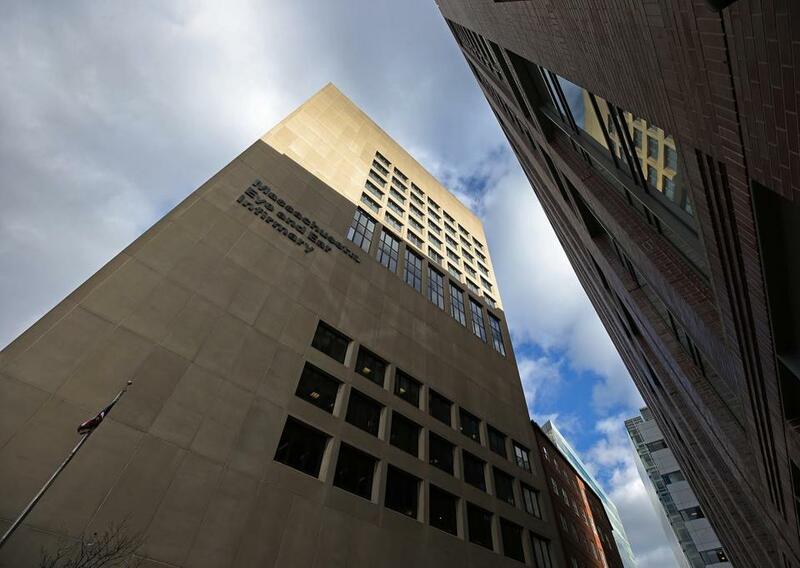 Hospitals owned by Partners, including next-door neighbor Massachusetts General and Brigham and Women’s, send many patients to Mass. Eye and Ear. Most of the nearly 200 doctors at Mass. Eye and Ear negotiate their contracts with insurers as part of Mass. General’s physicians group. But the takeover may not fly with regulators. Partners is already the largest and most expensive system of doctors and hospitals in the state. Some of its previous deals have faced strong opposition over their potential to quash competition and drive up health care costs statewide. In 2015, facing objections from the state Health Policy Commission and the threat of a legal challenge from Attorney General Maura Healey, Partners abandoned plans to acquire South Shore Hospital in Weymouth and Hallmark Health System in Medford. Partners and Mass. Eye and Ear acknowledged they may have to wait as long as a year to receive regulatory approval. But they argued their deal is different from Partners’ previous expansion efforts because Mass. Eye and Ear is a smaller and more specialized hospital. They said the merger wouldn’t drive up costs. Mass. Eye and Ear chief executive John Fernandez said his hospital accounts for less than 1 percent of all health care spending in the state. “Whatever happens to our volume or our rates is not going to change the way things work in Massachusetts,” he said. Fernandez cast the deal as necessary during a period of swift change in the health care industry, which includes a shift in the way insurers pay for medical services. Insurers are pushing doctors and hospitals to provide more efficient care by keeping patients in networks called accountable care organizations that manage all their medical needs. Instead of billing for each service, providers are increasingly being paid a lump sum to care for patients. The changes are challenging for specialty centers like Mass. Eye and Ear to handle on their own, Fernandez said. Partners spokesman Rich Copp said the goal is to preserve Mass. Eye and Ear as a destination for the treatment and research of conditions such as deafness and blindness. “We don’t anticipate that this would have a significant impact on volumes or costs in the Massachusetts marketplace,” he said. A spokeswoman for the attorney general said Healey’s office has been in touch with hospital officials and will review the proposed transaction as more information becomes available. The Health Policy Commission, a watchdog agency that tracks health care costs, also said it would begin a review once it receives official notice of the deal. Health care lawyer Matthew R. Fisher said the proposed acquisition is a little surprising, given what happened the last time Partners tried to expand in Massachusetts. He gave it a 50-50 chance of approval from regulators. Mass. Eye and Ear and Mass. General, both affiliated with Harvard Medical School, are located next door to each other beside the Charles River in Boston. They are separately run, but Mass. Eye and Ear doctors provide the ophthalmology and otolaryngology services for Mass. General patients. Founded in 1824, Mass. Eye and Ear has carved out a unique place in the state’s health care market by focusing exclusively on ailments of the eyes, ear, nose, and throat. Its doctors perform routine procedures like cataract and LASIK surgeries, as well as specialized treatments for cancers of the eye, head, and neck. Though small compared to many other teaching hospitals in Boston, it has enjoyed the support of high-profile donors such as Grousbeck, whose son is blind, and Joey McIntyre of the band New Kids on the Block, whose son was born with hearing loss. As an independent hospital, Mass. Eye and Ear has expanded from three satellite locations to 18 over the past decade. One of its newer clinics is in the Longwood Medical Area. Fernandez, the chief executive, said that by joining Partners, Mass. Eye and Ear specialists could see patients and perform operations in additional sites run by Partners. After Partners backed off its previous expansion plans, Partners chief executive Dr. David Torchiana said it would focus on growth in other states and countries. Since then, Partners, through Mass. General, has acquired Wentworth-Douglass Hospital in Dover, N.H.